This tool allows you to copy and transfer shapes up to 5" long. It is very useful when making templates for spindles or copying existing pieces. 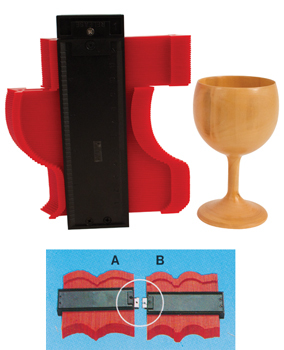 The Contour Gauge is made of plastic, and will not mark the piece being copied. Two contour gauges can be put together to form one 10" long Contour Gauge.